Another 1960’s Gibson came in to my hands this weekend. This one is actually not mine, it belongs to Sr Chinarro. 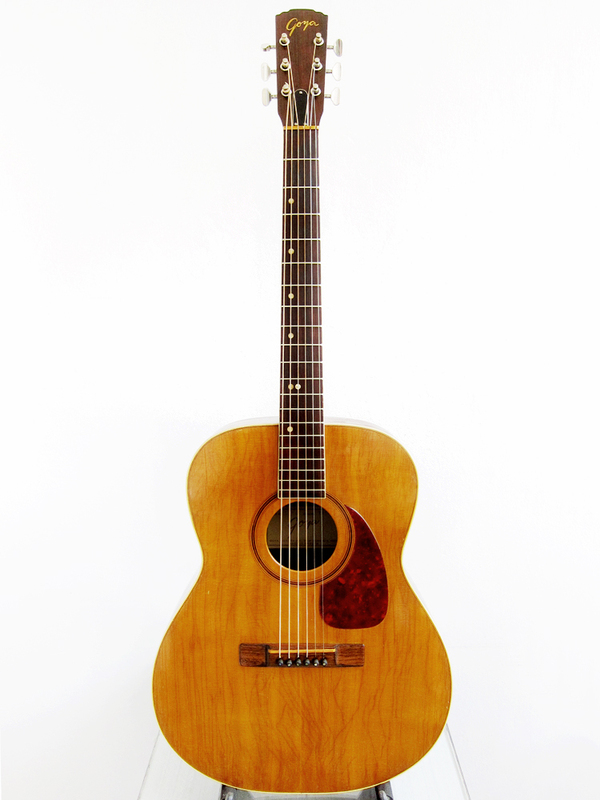 The Gibson B-15 was introduced in 1967 as the last model of the famous B-series, the Gibson B-25 was already a huge hit and they continued to manufacture the B-series through out the 1970’s. 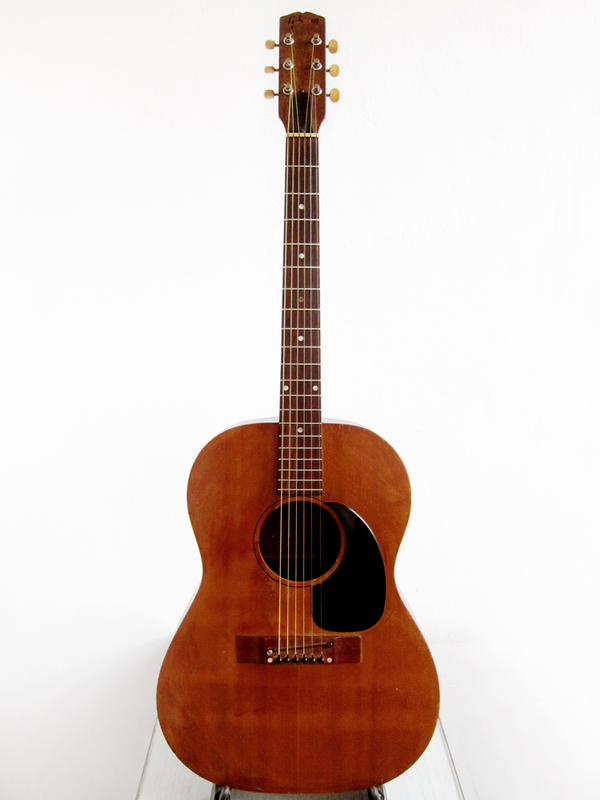 The B-15 was an all solid model with a natural finished mahogany body, a mahogany stained spruce top and rosewood fretboard and bridge. Gibson referred to the B-series as student models at the time which is a bit misguiding considering what a student guitar sounds like today. These have great even tone and pretty amazing sustain for the size, a perfect little blues machine. This 1969 Gibson B-15 sounds and plays great and is pretty good shape for it’s age. There is a lot of scratches and wear to the top and sides but the are no cracks or structural issues. It’s all original and even comes with the Gibson made alligator chipboard case. The action is good and the frets has very little wear. This guitar is sold now. I found another Goya T-16 that I couldn’t resist. I’m not sure why I love these so much, if it’s the sound, shape or the fact that my dad’s old Levin LT-16 was my first guitar. This one seems to have had a crack in the lower bout on the bottom side and when that was fixed they gave the side a light burst to cover it and then lacquered the whole guitar. Back in the 1960’s when these guitars left the factory in Sweden, the Levin LT-16 came with a really nice satin finish and the Goya T-16 with a high gloss that cracked over time. The previous Goya T-16 was sanded down and this one had an extra coat of lacquer so I guess people weren’t entirely happy with the finish on these. They both sounds very different, the old one sounds more woody and dry and this one has a clearer snappier sound, I presume because of the lacquer. I really like the look of the top, more orange and pre-war Martin looking than the normal Goya T-16. I bought this 1966 Goya T-16 from an eBay seller in Illinois but I guess it first landed at Lynn’s Guitars in Knoxville Tennessee when it came from Sweden in the 1960’s. I removed the bridge and pickguard, scraped of the lacquer and then re-glued them. I also adjusted the neck angle by removing the bolts inside and then sanded down the heel a bit with a sandpaper, just like I did on the old Goya T-16. The headstock had some fine cracks that I filled with fish glue and then polished up. I cut a new bone saddle that I painted to match the old Levin Galalith saddle and then I cleaned up the fretboard and polished the frets. 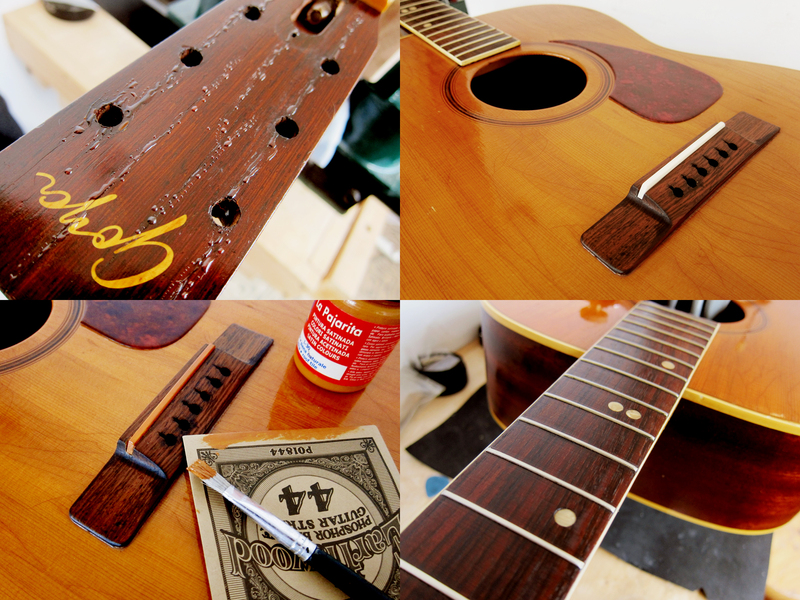 Last weekend I tried a trick that I had seen some old luthier in the US doing on Instagram, replacing the first three worn frets with the last three, instead of re-fretting the whole guitar. 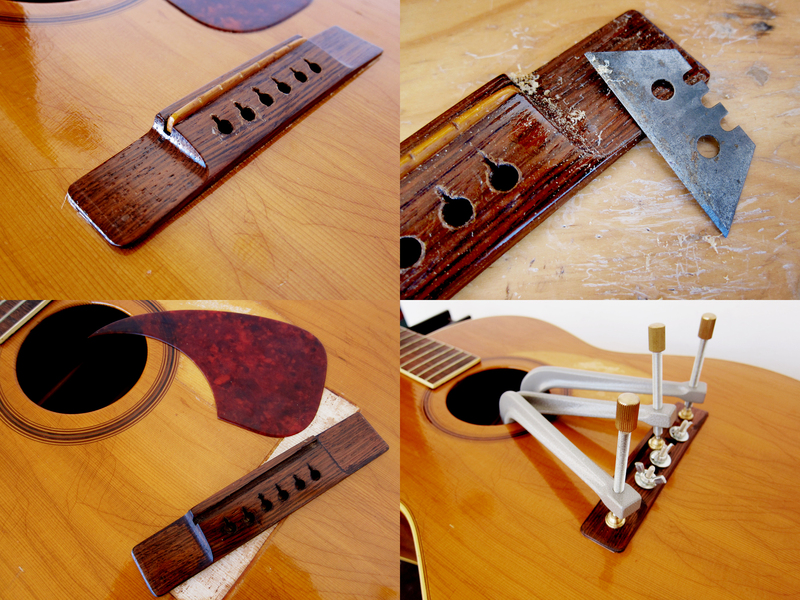 This seemed like a really good solutions for my 1978 Hagström Western 6 which had terrible wear on the first three frets. It seemed a bit pointless to do a complete re-fret when it was just the first three that was worn, I also like to keep things as original as possible. I just pulled out the first three and the last three and replaced the first three with the last three and then added three new frets where the last three used to be, easy peasy. I just had to nip off the edges with some pliers, file them down and round them a bit to get them smooth. 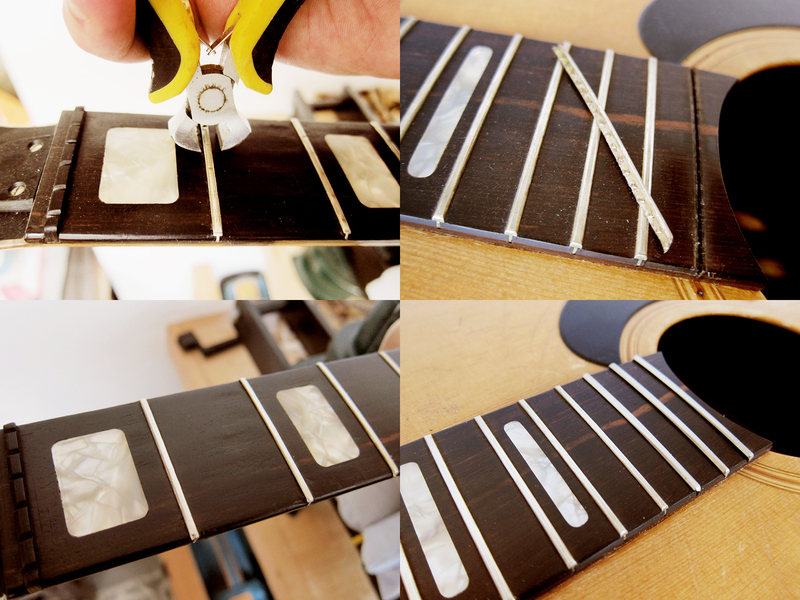 Since you don’t play on the last three frets, or at least I don’t, you don’t have to level and crown them too much.